A stunning debut novel. 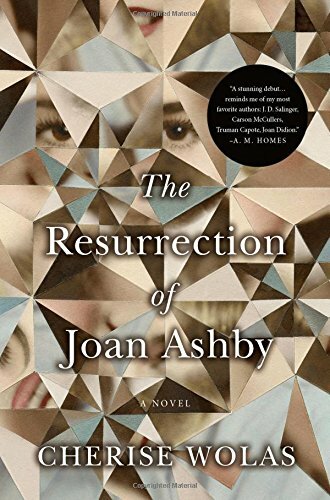 The Resurrection of Joan Ashby by Cherise Wolas encompasses a wealth of superb writing, mature insights, and breathtaking risks. Joan Ashby emerges as a substantial and realistic character; you can scarcely believe this is a feat of fiction and not biography. The book is not without some minor flaws—a kitschy ending, too many interruptions to the narrative with extraneous material, and some less than credible synchronistic events. But even these glitches cannot mar the impact and power of the novel. Wolas places under the microscope and through decades the nuances and expectations of marriage, where two people who love one another yet never truly know each other, gradually grow into two different people. She also microscopically examines motherhood and parent-child bonds. Daniel is born and to her surprise, Joan falls in love with him, dotes on him, and gives up writing (despite her publisher’s admonishments) to tend to him. A strange, young woman, Fancy, enters their lives as Daniel’s nanny. She and Joan bond, and as Joan leaves her writing life behind, she embraces young motherhood, all the commitments of domestic life, and together with Fancy sets up flower and vegetable gardens, orchards and glens on the Manning four-acre property. Several years later Eric is born and mothering him proves to be much more difficult for Joan; she does not bond with this baby as she has with Daniel. Eric is born with an independent streak. The narrative takes a darker twist when—years later—11-year-old Daniel, a voracious and advanced reader, who has been writing stories about a squirrel named Henry that garners his parents’ praise and pulls the mother-son bond ever tighter, suddenly discovers that his mother is a famous writer. The fact that she hid this part of her life from him, never said a word about her writing, is a shock that ends his burgeoning promise to follow on her path, and strains their bond. This sin of omission (for which she has a well thought through rationale) sets in motion a series of events that a decade later will shatter Joan’s life. The Manning family is brilliant: Joan the fêted writer; Martin, a pioneer in eye surgery practices that he shares internationally; Daniel, venture capitalist and graduate of Wharton Business School; and Eric, the child Joan could never truly connect with, who drops out of school at 13 when his computer coding skills lead to the creation of a start-up hi-tech company that he sells and at age 22 is a billionaire. The Resurrection of Joan Ashby is a remarkable achievement. Cherise Wolas is deserving of the laudatory praise her novel is receiving. A rare book such as this comes along only once in a long while.